These classic Lemon Bars are simple, delicious, and sweet, with just the right amount of tart! 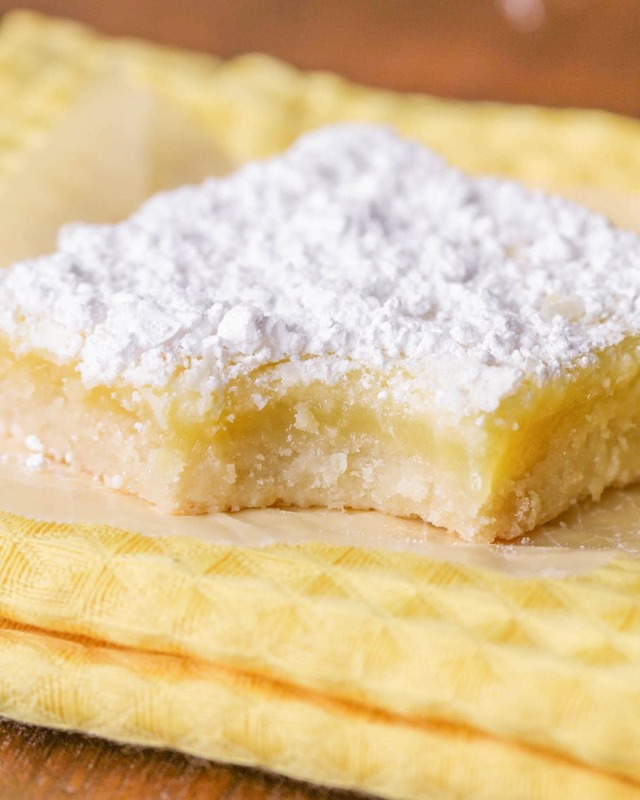 Add a bit of powdered sugar, and these easy lemon bars are irresistible! They could make anybody a lemon bar believer!! Hi guys! Today, we are bringing you another delicious Tried and True treat. 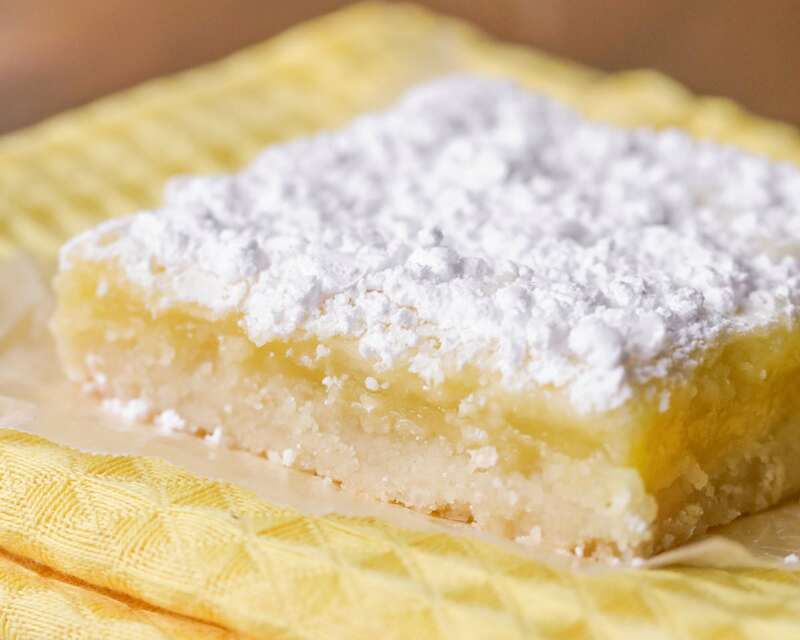 How many of you grew up eating lemon bars?Although my sister, Tara, doesn’t agree, I’ve decided to add these tasty Lemon Bars to our ever growing favorite treats list (yup, she only eats chocolate-y treats and no fruity ones). This recipe from Among the Young was so good though, it could make anyone a lemon bar believer! We only made a few modifications, and let me tell ya, they turned out AMAZING. I’ll paint the picture for you: Moist, buttery crust with a sweet, yet perfectly tart lemon layer, topped with a generous amount of powdered sugar. Are you drooling yet? There’s something about the lemony flavor that makes these bars easy to eat. They’re not overly sweet or rich – they’re kind of refreshing rather than heavy! But don’t take my word for it. Whip up a batch of these easy Lemon Bars and see for yourself! Mix butter, powdered sugar, flour, and salt together with a pastry cutter or spatula. Pat mixture into a greased 9×13 pan. Bake for 20 minutes at 375. Make sure to not let it get brown, keep it light! Meanwhile. blend eggs, lemon juice, sugar, and flour until frothy, about 30 seconds. Pour over crust once it comes out of the oven, and bake for another 20 minutes at 350. 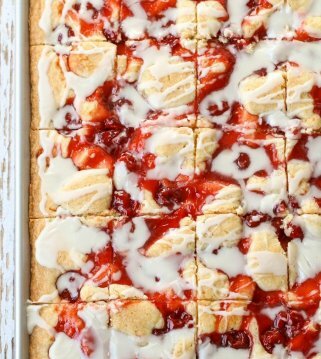 Remove from oven, top with powdered sugar, and ENJOY! Because we have been long-time fans of Lemon bars, we’ve tried so many versions in the past. This version is so simple and so delicious and was deemed the BEST lemon bars by the entire family. I guess that means it’s a keeper! There really is no reason not to whip up some of these old-fashioned Lemon Bars! These classic Lemon Bars are simple, delicious, and sweet, with just the right amount of tart! 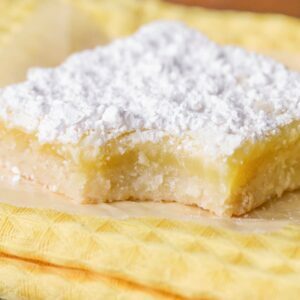 Add a bit of powdered sugar, and these easy lemon bars are irresistible! 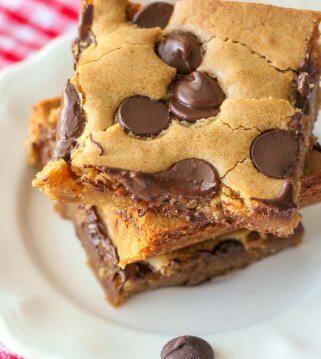 In a bowl, mix butter, powdered sugar, flour, and salt together with a pastry cutter or spatula. Pat mixture into a greased 9x13 pan. Meanwhile. blend eggs, lemon juice, sugar, and flour until frothy, about 30 seconds. Pour over crust. Remove from oven and top with powdered sugar. Adapted from Among the Young. Kellyn is a mom of 4 and loves to try and test out new recipes. 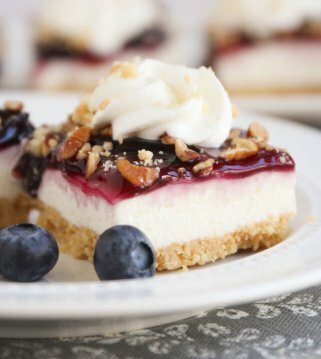 She loves to find the best dinner and dessert recipes around and share them with those in the blogosphere. Tablespoon 🙂 Hope you like these! What type of flower do you ? Self rising or all purpose ?? How much flour for the 2nd part? I put 2 cups in the crust? Same for the top mix? 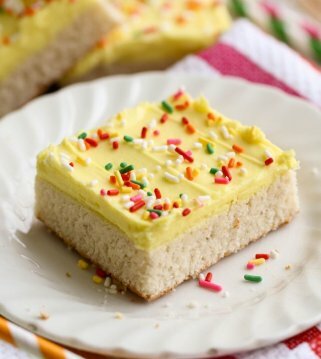 This is very similar to a Lemon Bar recipe made with a cake mix and all the other ingredients. However, one doesn’t always have a lemon cake mix on hand when they get the urge so will give this a try. QUESTION: Should the pan be greased? Yes, grease the pan first 🙂 I hope you like them, as much as we do! Love a good lemon bar! Thank you for this recipe. Its not too tangy and has the perfect sweetness. These lemon bars are so good!! I love lemon, it’s so refreshing! they are so soft & creamy! I took them to a potluck & everyone raved about them! even though I’m not a huge fan of lemon, these lemon bars are super tasty! What kind of lemon juice? Real or concentrate? I just use the lemon juice you buy at the store 🙂 You could use freshly squeezed for sure! 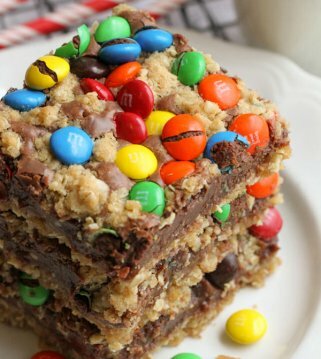 I need to make these for a party the following day. Is it best to store them in the fridge or on the counter? I keep them in an air tight container on the counter. Hope they are a hit! do we have to wait for the crust to cool before pouring on the liquid?